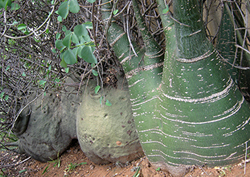 Africa, with its unique variety of climatic zones, offers a wide range of fascinating plant species, each adapted to its specific niche. 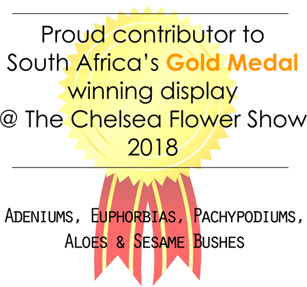 With over 23,000 different plant species in South Africa alone, this makes for a never ending challenge for any enthusiastic gardener, grower and collector. 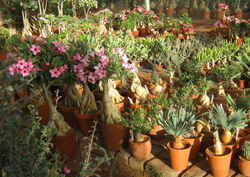 We do not just grow plants; we create beauty, character and uniqueness through the constant evaluation of our own seedgrown plants and the selection of floriferous, hardy and beautiful ones to sell. 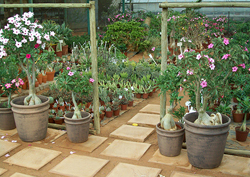 With care and attention over many years, our plants grow into wonderful gifts available at reasonable prices. 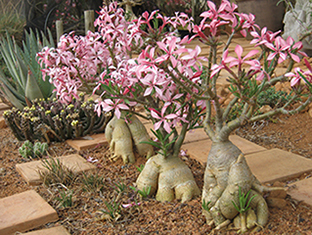 gardeners wanting to enrich their gardens with special indigenous species that can survive minimal rainfall and add shape, texture, height and shades of green to the garden. 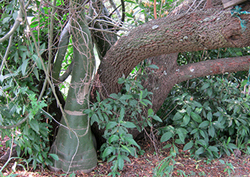 Over many years we have grown caudiciform plants with beautiful shapes as focal points for the garden or as pot plants. 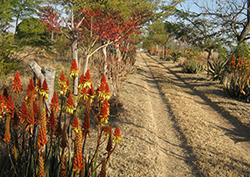 Flora Africa is a Cites registered nursery with the Directorate of Nature Conservation "to ensure that the benefits derived from the use and development of South Africa's genetic resources serve the national interest." This is controlled through a system of permits and inspections that ensures that all motherplant material is legally acquired, that all wild plants are protected and that the nursery complies with the requirements of international conventions such as those of Cites.